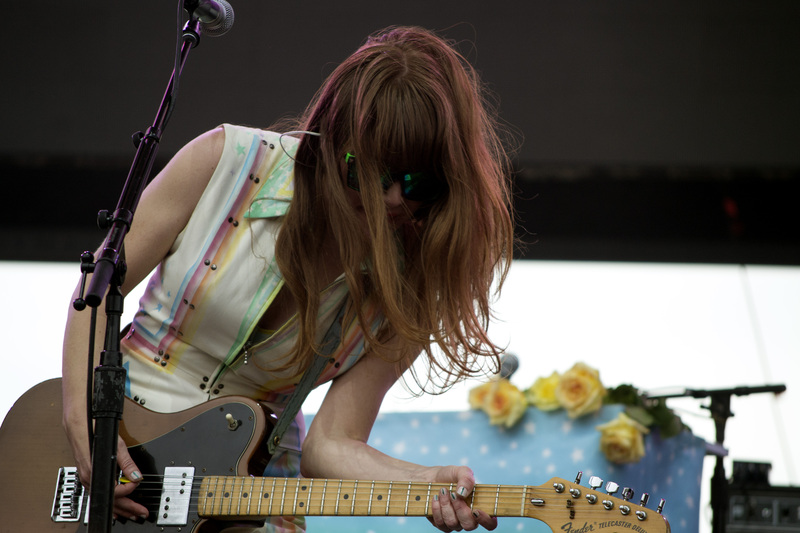 Jenny Lewis feels good. That sounds simple, but it’s been a long time coming for the ‘90s child actor turned prolific musician. As a kid, Lewis starred in films like The Wizard and Troop Beverly Hills before pursing music. Her band Rilo Kiley was part of the wave of indie groups that defined the alternative music scene of the aughts. But in recent years, Lewis has faced a series of setbacks: the disbanding of Rilo Kiley, the death of her father, and chronic insomnia. It was these experiences that provided the material for last year’s The Voyager, her first solo release since 2008’s Acid Tongue. For Lewis, making The Voyager was freeing. Without the pressure of bandmates, she was able to have total control over her music, albeit with the occasional guidance of Beck and Ryan Adams. Lewis has also returned to her Hollywood roots and scored best-friend flick Very Good Girls and 2014 film Song One, which starred her friend Anne Hathaway. Lewis most recently wrote a song with boyfriend and collaborator Jonathan Rice for Meryl Streep’s rocker character, Ricki, in the new film Ricki and the Flash. I talked to Lewis about touring, the cathartic nature of performance, and the magic of Goodwill radio. HANNAH STEINKOPF-FRANK: You’ve been touring The Voyager for around a year now. How has the album changed for you since its release? 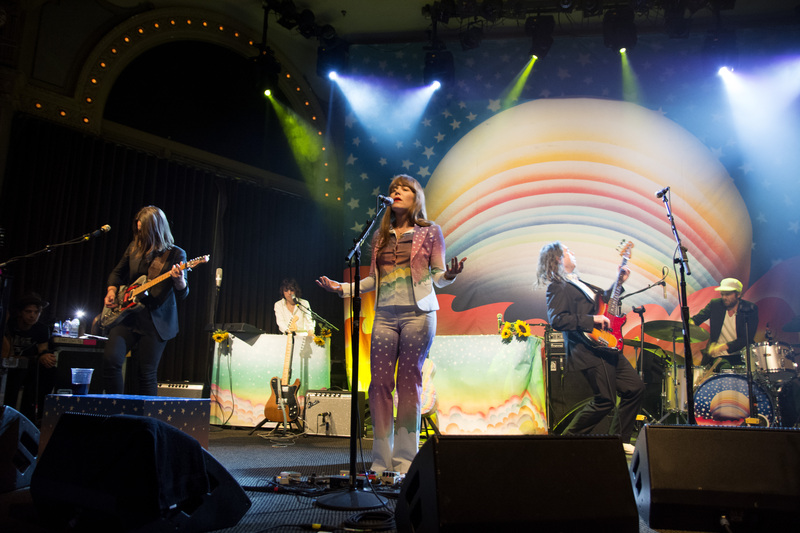 JENNY LEWIS: Songs always evolve over time. I tend to get to know them more out on the road because when I'm writing something, in some ways, I almost vomit it out, and then understand what the intention was later. Things are always revealing themselves in songs. Like that line in “Just One of the Guys,” which kind of became the center of my record: “I'm just a lady without a baby.” I didn't understand that when I wrote it at 30 years old, but now, years later, it affects me in a different way. It seems every interviewer asks you about that line. Yeah, people want to know the answer, you know? I did this interview with Jian Ghomeshi, who was a host in Canada who got into a bunch of trouble. He asked me something very specific about that line, and it just struck me in a weird way. Like, here we are, we're talking about my uterus. People feel comfortable enough that they can ask me a really personal question based on that. But I guess when you just write about everything—I have no filter, and I don't censor myself—I guess you just put yourself out there. In the past, you've adopted many characters through your music, but do you think The Voyager is a more personal album? I don't necessarily. I guess in the studio, with Ryan [Adams], there were a couple of notes that he gave me in changing the pronouns to “I”. It makes it feel more personal. That's what working with a really great producer illuminates. Just those little things that tweak it and make it feel more personal. When recording, how do you take advice like that while also staying true to your vision? What has your recent experience scoring films been like? It's been really amazing, and it's amazing how it feeds into just songwriting in general. You compartmentalize these things, but really it's just a bunch of songs, and you just put them out into the world. Doing Very Good Girls was sort of in the middle of a dark period for me, and it got me out of my head. It got me working. It got me in the studio. It got me writing. So that process couldn't have come at a better time. It was extremely difficult to score that movie on my own, and I learned a lot. I thought I knew exactly what I was doing, but halfway through I was like, “I have no idea what I'm doing here. I can't believe these people are giving me this opportunity.” But it turned out great. “Cold One,” the song you wrote for Ricki and the Flash, sounds like it could be a Jenny Lewis song, but it fits in the movie. How did you go about writing it with Jonathan Rice? First we met with Meryl [Streep], and she told us to write a song without an apology. And I thought, “Well that I can do.” Before we read the script, she explained that her character's Ricki, and she's a singer of a cover band in the San Fernando Valley. Well, my mother was a singer in a cover band in the San Fernando Valley, and her name is Linda, and Ricki's name in the film, her real name is Linda. So when Meryl told me that, I had complete goose bumps, and I was trying to hide the goose bumps from Meryl Streep. I thought, “Oh my god. I think we can do this,” because it was so much like my own experience growing up. When we went home and read the script, it was so good. Diablo Cody wrote the script, and it just leapt off the page… When we got [Streep's] demo back—[Director] Jonathan [Demme] sent it to us—I burst into tears. I couldn't even really listen to it more than once. It was so beautiful. I couldn't believe it was actually happening. Musicians ranging from the Haim sisters to Nikki Lane have listed you as an inspiration. 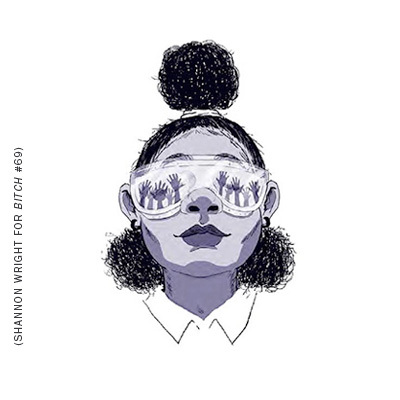 What’s it like being in a position having artists look up to you, particularly female ones? I guess you never imagine yourself as the older generation, but it's amazing. It's wonderful. I met Katie Crutchfield from Waxahatchee, and she has a Rilo Kiley tattoo on her arm. She's got the cover of The Execution of All Things on her arm. And it's big. I'm such a fan of her music. So to think in some little, small way, those songs inspired her to want to write songs. That really is one of the most important things to me: A) reaching out to other women and B) showing them that it's possible to follow your muse, and your poetry can kind of lead you somewhere. You’ve mentioned that it's harder to play new material because people want to hear the older songs, but on this tour, you're doing a really wide mix. How did you put the set-list together? It's an evolution, and I think you have to please yourself and the audience. The goal is to have a very seamless transition from recording to touring to back to recording again. So you need the new material in there to keep it fluid. But you have to play new songs. It's just so fun. You've got to put a song out into the world. And I've found that if I wait with new songs, then someone else across the country or the world will have a similar idea because it's just like the consciousness. With music and songwriting, you just kind of tap into the unconscious vibe. Everyone always has the same ideas around the same time I think. You know, they start listening to the same record. I think it's very connected. Do you write a lot on the road? I try to, yeah. I'm always working on lyrics and part of my everyday schedule is I get up, I walk around, I walk miles, and I just work on words in my head. And I go to Goodwill for inspiration. The music that's beamed in on the Goodwill radio is always magical, like if you're searching for something. So I'm always working, and my band is so great for this record, and everyone is really open. So I can bring an idea to practice or to soundcheck and figure out a new song. A lot of this record came from a dark time in your life, but now, are you getting inspiration from a different place? I feel good. I didn't feel good when I wrote the majority of this record. I don't want to ever feel like that again. But I got through it with the support of my family and the support of my songs. They kind of held me up despite myself, in a way. Inspiration is weird. You don't want to fall into the thing where you're creating drama so you have something to write about. You can write when you're happy, too. It's harder. Again though, it just goes back to your life as an artist, the ebbs and flows, and the songs that reflect that. When you play those songs that were written from a difficult place, is it hard? Some nights. And some nights, it's embarrassing when you're revealing things about yourself, even through other characters, in a room full of people. Some nights, I don't feel as comfortable in that role. But it's cathartic, and sometimes it's sad, and sometimes it's funny. Every night, every song is different. It's never the same two nights in a row. But luckily, I'm in a situation where I can switch up the set-list, and that goes back to that fluidity of recording and writing and being able to look back on all the songs and put together a set-list that has a wide range of emotion. Do you think the audience plays a role in that? It's been so great over the past year playing those songs that I hadn’t played in a really long time because they're really meaningful to a lot of people. To me, most importantly, they're very meaningful to me, and they're very emotional and very raw. It's amazing to see people react. But it's weird. There are so many moving parts in a performance that you can't gauge. A new song may go over great in a small room and not great in a big room. It's the performance and the audience. It really is a collaborative experience with the performers and the audience. We're feeding off the energy from the crowd. Well, I think advice for young artists in general would be to follow your muse and write what you really want to write and write for yourself. Make stuff for yourself first, and then cater to everyone else. I've been in that situation with maybe two songs that I've written that I haven't liked, and I've performed them anyway. We're talking two of like hundreds of songs. But that feeling when you know you're doing something that you know isn't true is not a good feeling. I think just finding yourself in your work is the most important thing. All photos by Hannah Steinkopf-Frank. In their sparking, spitfire way, Seattle band Mommy Long Legs’ songs tackle topics like gentrification, gender norms, and catcalling.